Hear music inspired by two weeks in Isle Royale surrounded by decrepit lighthouses and abandoned mines, shipwrecks, ghosts, and the stories of the northern Ojibway, fishermen, and early settlers. David Huckfelt, co-founder of The Pines, offers music from his debut album “Stranger Angels” at Crossings on Sat., June 8, 8pm. Indeed, the music is both transportive and reflective, focused inwards even as it draws on an abundance of outside influence. 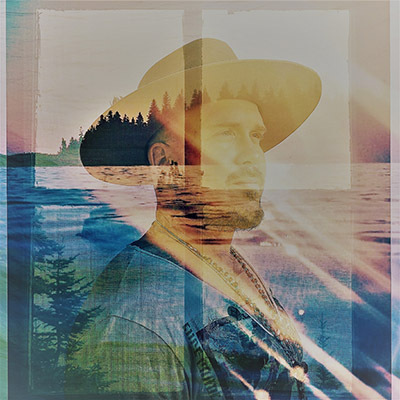 Hypnotic banjo and gentle acoustic guitar meet trippy public domain samples and shimmering soundscapes underneath Huckfelt’s stark, raw vocals as he wrestles with questions of fate and faith, responsibility and independence, connection and loss. A thread of deep ecology runs through these songs. The record also draws on deep wells of Native American tradition and spirituality, a life-long anchor for Huckfelt which has developed more fully through working with Native songwriters and poets like John Trudell, Quiltman, Keith Secola, Tom LaBlanc and more. ‘Stranger Angels’ follows Huckfelt’s latest album with The Pines, 2016’s ‘Above The Prairie.’ Hailed by No Depression as “dazzling,” drawing the attention of Rolling Stone’s David Fricke who called The Pines “poignant stark country” and earning high praise in both the US and Europe, with Mojo calling it “their most beautiful yet” and Minnesota NPR station The Current raving that it “hits so close to the gut that it reminds us that they are truly a singular band. Reservations are suggested - Advanced tickets discount on all of our concerts. Please! If you're short of cash - ask for a discount - We turn no one away! We will gladly provide you with reserved seats if requested. Reservation must be made with one order. All ticket sales are final.